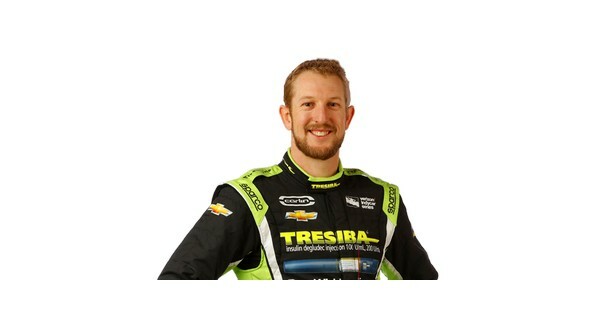 Indy car racer Charlie Kimball will be the keynote speaker for a World Diabetes Day event at Baxter Regional Medical Center's Reppell Diabetes Learning Center Nov. 14th.A BRMC spokesperson says this year's World Diabetes Day event will be a fun-filled and family-centered program from 11:00 until 3:00 for adults and from 3:00 until 6:00 for children and families in the BRMC Lagerborg Dining Room. This year's theme is Diabetes Concerns Every Family. Kimball's keynote is scheduled from 5:00 until 6:00. The Indy car racer is a T1D ambassador and was the first licensed driver with diabetes to win a race in the Verizon Indy Car Series. In 2005 Kimball became the first American in 11 years to win a British Formula 3 race, and he went on to secure two track records and several Formula 3 victories in both Britain and Europe. Kimball had two top-10 finishes in the No. 83 Novo Nordisk Indy Car and became the first driver in history with diabetes to qualify, start and finish the Indianapolis 500. As further testament to his standing in the diabetes community, Kimball has partnered with Novo Nordisk, a global healthcare company dedicated to diabetes care, to raise awareness of the importance of properly managing blood glucose levels and to demonstrate diabetes can be successfully integrated into your life and your ambitions. His visit to BRMC on behalf of the Reppell Diabetes Learning Center is one of many speaking events he has annually to spread awareness and encourage those diagnosed with diabetes to follow their dreams. The World Diabetes Day celebration will also feature guest speaker Dr. Jennifer Foster, general surgeon with Ozark Surgical Group, as well as games, prizes, and diabetes-related vendors. Registration is required. To enroll, go online to <https://www.baxterregional.org/events/event-signup/?Event=368> at https://www.baxterregional.org/events. For more information, call (870) 508-1765 or email jbodenhamer@baxterregional.org <mailto:jbodenhamer@baxterregional.org>.